Image: The team of NBRC scientists. New Delhi: In order to educate the general public about scientific research and its benefits, DBT-National Brain Research Centre (NBRC), Manesar – organized an Open Day on September 20, 2018, under India International Science Festival 2018 (IISF) banner. Students and teachers were invited from schools and colleges to visit laboratories of NBRC. Scientists of NBRC arranged poster sessions to showcase their ongoing neuroscience research activities. The posters were explained in easy language by young researchers. 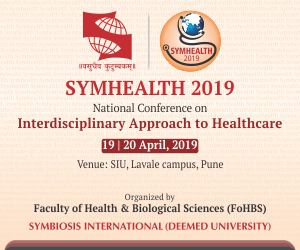 In addition to more than a dozen posters, a talk was delivered by a senior scientist Prof. Shiv K. Sharma on functioning of the healthy brain and how diseases affect the brain. He explained, how brain forms memories and helps in recalling them. Prof. Sharma also explained experiments that are commonly done to understand the mechanisms of learning and memory. “The enthusiasm of students in Science in general and in brain and Neuroscience in particular was evident from their keen interest in the lecture, and the questions that followed. Interaction with teachers, and answering their queries was a full-filing experience. The activities organized by NBRC were appreciated by the teachers and the students alike,” said Prof. Shiv Kumar Sharma. The visiting students were also provided a tour of research facilities at NBRC, where they got a chance to see how imaging of human brains is done by MRI and EEG. Live demonstrations of EEG recordings were done and students enthusiastically participated in the activity. “It was a wonderful experience to discuss our discoveries on brain infections with college and school students. We look forward for another opportunity to interact with young minds,” said Prof. Pankaj Seth. 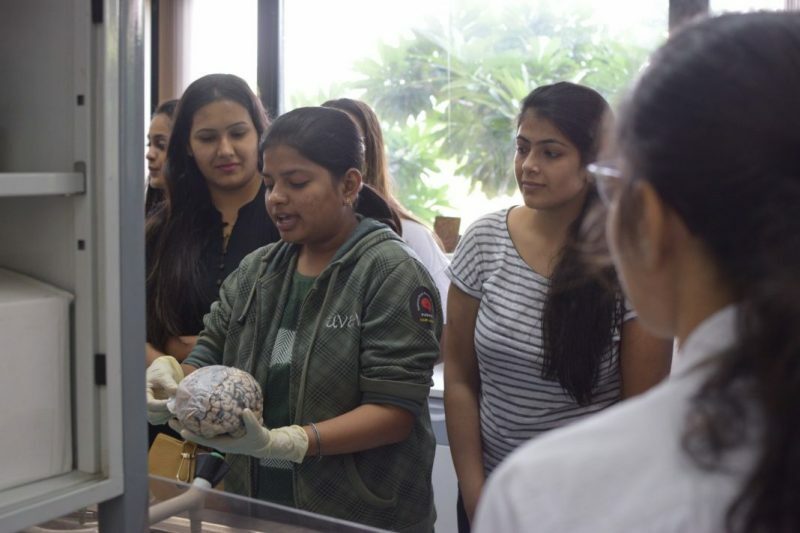 All students were given demonstration of real human brain and spinal cord for a better understanding of the nervous system which was liked by all the students. Students were also shown human brain stem cells under the microscope and were educated on this exciting and upcoming field of stem cells. They were shown videos taken using microscopes that clearly demonstrated how neural stem cells divide under culture conditions. The day long activity ended with interaction of students with researchers at NBRC. Students enjoyed their visit and wanted to know when will be next Open Day so that they can come back and learn more about human brain and how researchers unravel the mysteries of human brain. Prof. Neeraj Jain, Director, NBRC, informed that the next Open Day will be on December 17, 2018.